Mesa, Arizona: Native American Fatherhood and Families Association (NAFFA) has been awarded a two-year grant from Gila River Indian Community State Shared Revenue Program for $203,548 which will fund their Direct Services for Parent Education program. Starting on January 1st of 2019, NAFFA will open its doors for their first direct services program called the SAFE Parent Resource Center located in Mesa for both Native and non-Native parents. SAFE stands for Strengthen All Families Everywhere and will include parent education workshops on topics of raising healthy sons, understanding children’s temperament, addressing family violence and abuse, child development and other related topics. The SAFE Parent Resource Center will also include a monthly family law clinic, child support clinic, and drop in group sessions for fathers of children with special needs. The sessions will teach discipline techniques, co-parenting strategies and helpful communication styles to help dads and moms strengthen their own families. There will also be mentoring opportunities for both parents as well as limited child care provided. Fatherless homes and the absence of fathers in the life of their children have many negative social and economic consequences. 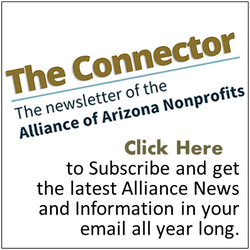 The number of community and government agencies that employ at least one staff person to work with fathers is very limited in the Metro Phoenix area. NAFFA was established in 2002 with the Fatherhood is Sacred™ culturally based program aimed toward Native American men which taught fathers their role in the family. With NAFFA’s 16-year emphasis on serving fathers, they are in a unique position to effectively recruit and serve both Native and non-native fathers and their families living and working in the Mesa area. NAFFA is about change and improvement in one’s self and they are very grateful for the opportunity to serve the community for the next two years through their SAFE Parent Resource Center. NAFFA believes that when families are strengthened, communities are restored to safety. For more information on the new SAFE Parent Resource Center please call 480-833-5007 or see https://www.nativeamericanfathers.org/ .